The United Arab Emirates (UAE) and India share two things in common; they have been under British rule at one point in their histories, and they are both located in the continent of Asia. Other than these similarities, these two countries are very different from each other. 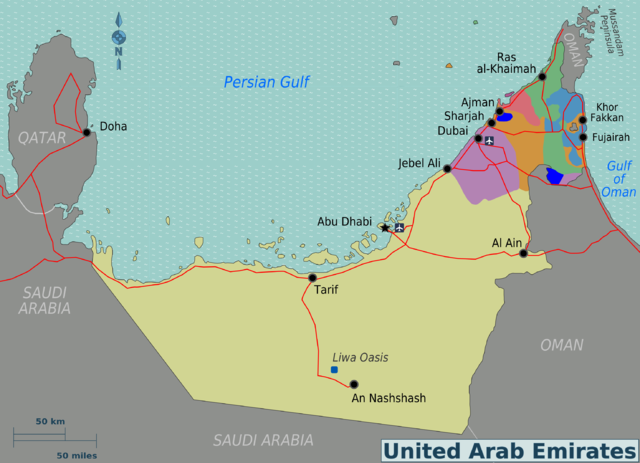 The United Arab Emirates is a federation of the seven emirates of Abu Dhabi, Ajman, Dubai, Fujairah, Ras Al Khaimah, Sharjah, and Umm Al Quwain which was formed a day after they gained independence on December 1, 1971. Each emir of the emirates has absolute power within their emirates. The seven emirs choose among themselves the President of the Federation who in turn chooses the Prime Minister. Both these positions are hereditary with the President as head of state and the Prime Minister as head of the government. Its government has three branches: the executive branch composed of the President, Vice-President, Prime Minister, Federal Supreme Council which is composed of the seven emirs, and the cabinet; the legislature; and the judiciary which is a federal court system. The official religion of the UEA is Islam, and its official language is Arabic. It has more liberal laws as compared with other Arab states that share its borders such as: Oman, Saudi Arabia, Iraq, Kuwait, Bahrain, Qatar, and Iran. It is a high income developing economy due to its rich supply of oil. It has the world’s sixth largest oil reserves which were first discovered in the 1960s. 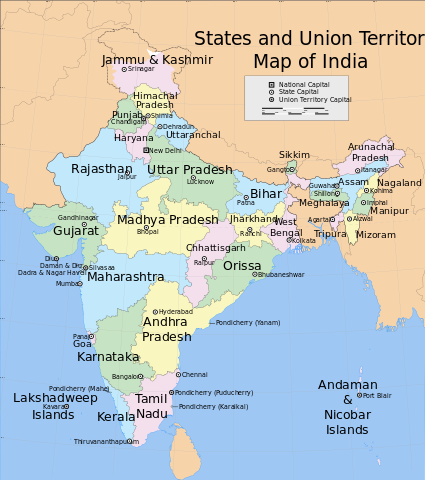 India, or the Republic of India, on the other hand, is a federal Constitutional republic with a parliamentary democracy. It is composed of 28 states and 7 union territories. Its President is elected and is the head of state while its Prime Minister, who also acts as head of the government, is appointed by the President. Its legislature is a bicameral parliament, and it has a three-tier judiciary composed of: the Supreme Court, 21 high courts, and a large number of trial courts. It also has a Constitution which, unlike the UEA Constitution which is only concerned with the relations between the emirates, governs it. Its main religion is Hinduism, but it is open to all religions including; Christianity, Buddhism, Islam, Jainism, and others. It is the second most-populous country in the world and gained its independence in 1947. 1.The United Arab Emirates (UAE) is a federation of seven emirates while India is a federal republic. 2.Both have been under British rule with India gaining independence in 1947 while the UAE gained independence in 1971. 3.Both have prime ministers who are appointed by their presidents, but while the President of India is elected, the President of the UAE is chosen among the seven emirs. 4.Both have three branches of government; the executive, legislature, and judiciary, but they differ in composition and functions. 5.The Constitution of the UAE is concerned only with the relations between the emirates while the Constitution of India governs the country. 6.The UAE is more economically stable than India and is also less populous. Emelda M. "Difference Between India and UAE." DifferenceBetween.net. September 27, 2017 < http://www.differencebetween.net/language/words-language/difference-between-india-and-uea/ >. The difference between UEA and UAE; the first is the University of East Anglia – the second is the United Arab Emirates. ITS NOT UEA IT IS UAE. First difference is size of countries. Cost of living in UAE is inversely proportional to size ratio. India is far better on this important basic ground. Because of the vast size of India, opportunities of works are immense. Indians feel more liberal in India. You make any comment about PM, it is no big issue.